Spring has sprung, which can mean one and only thing: Duff Counter Days are here! 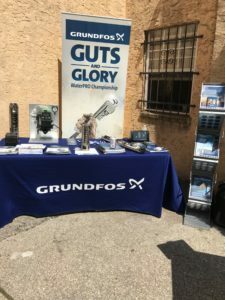 We kicked off the season with a focus on well pump contractors, which meant that we led with our flagship line, Grundfos. We’re excited about the season being here because, of course, it also means that pump work season is in full force. Duff Co. is available and ready to assist with any of your well pump needs. Need help sizing? Give us a call. Need help finding a replacement for that bad pump? Shoot us an email. Need help picking up your tool in that mud puddle near the rig? Umm …… sure! Just give us a call.